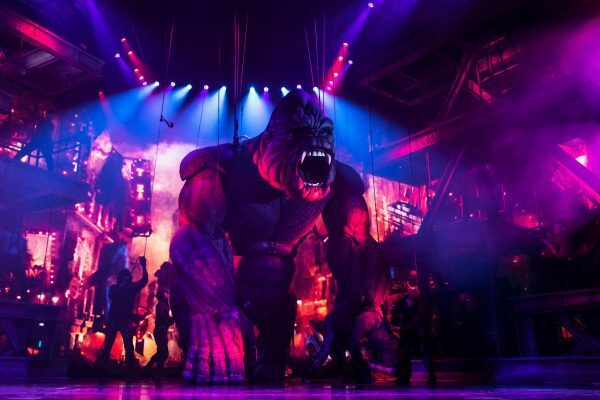 In the wake of Ben Brantley and Jesse Green’s much-discussed joint review of King Kong, Exeunt NYC’s staff gathered to consider the virtues and drawbacks of a form the site has employed for years. CAMERON KELSALL: Recently, the New York Times has begun experimenting with the critical dialogue format, having its two chief theater critics, Ben Brantley and Jesse Green, review the occasional production in dialogue format. They debuted the concept with Daniel Fish’s revisionist production of Oklahoma! at St. Ann’s Warehouse — a rave from both sides. That review didn’t garner a ton of attention, but their subsequent drubbing of King Kong has. I’ve seen critics dissect the value — or lack thereof — of this form on Facebook and Twitter and theater artists rail against the perceived bitchy tone and what they view as its potential deleterious effects (hi, Jason Robert Brown!). Exeunt NYC and our sister site, the U.K.-based Exeunt Magazine, have employed the round table form of writing for years. We have used it in place of a traditional review of a single production (for a recent example, see Joey Sims and Lane Williamson’s dialogue on Samuel D. Hunter’s Lewiston/Clarkston) or to weigh larger issues within the theatrical landscape (the value of American plays vs. British imports, the issue of representation in criticism, etc). We’ve even used it to share our theatrical sexual awakenings. Clearly, we see a certain level of value in the form, since we continue to use it. I guess the question I would pose to my colleagues is, what do you think a dialogue/round table review or article can bring out that a traditional review or essay doesn’t? NICOLE SERRATORE: A dialogue on dialogues. The Exeunt snake has truly eaten its tail. DAN O’NEIL: I always felt like Gail Collins and David Brooks modeled the print-version of a dialogue piece best – two savvy political commentators, one on the left, one on the right, try to find some common ground. Of course, that was a column based on current political events, not arts criticism, but I always thought that the form should be able to be co-opted by critics in some interesting way. I think the Times articles on both Oklahoma! and King Kong demonstrated its capacity for failure, in that neither piece felt accessible or… well, interesting. Reading about two people with a similar background agree about something is about the most mundane thing I can imagine in print. My experience with a dialogue-driven response is that it’s best if you can find someone to have the discussion with who doesn’t think like you, doesn’t look like you, and doesn’t necessarily enjoy the same kind of theater that you do. That way, you can truly ask questions of one another, rather than just propping each other up. There should be an element of risk, of uncertainty – it should give both participants the opportunity to ask bigger questions than what might be possible in a singular review. ALISON WALLS: Yes, I would agree. There was an off-puttingly self-satisfied air to Green and Brantley’s dialogue on King Kong, in particular – they seemed to be congratulating each other on their own tastes, with a not-so-subtle subtext that their illuminated perspective is superior to that of the poor plebs. Not that there is a certain joy in some well-aimed barbs, or that I didn’t agree with several of them, but they played into the worst clichés of the prestige reviewer. A better matched – as in, perhaps, less matched pair – could have complicated the “is this good theatre?” question in a much more satisfying way. NICOLE: Criticism comes in a lot of forms and while the recent New York Times dialogue reviews may be less than perfect I believe that experimentation in the form is necessary and important. While some have complained that reading the dialogues offer little to readers I wonder if they mean if all you do is read is the New York Times. The point of criticism is to read more than one take. I mean if we’re advocating for it as an art form. There are lots of other places people could look for a straight-forward review if they wanted one (we had a critic with a puppetry and dance background review it for us). While I cannot imagine “regular” folks taking in all that is written on a certain show there are a range of voices out there that they can. But for me this is what underlines the New York Times problem. People treat it like it’s the only game in town. The wonderful thing about Exeunt dialogues is the “oh I never would have thought of that” moments. The whole point is an empathic engagement with another writer where you both can ask questions of the other and focus on the discoveries from the other. We have journalists, artists, and journalist-artists writing for us. Our training (what’s training?) as critics is probably very different from Messrs. Brantley and Green. We don’t all come from the same writing traditions. We don’t have the same level of experience. This needn’t be just about identity (though we can’t beat the drums loud enough about the need for more diversity in criticism). What I love about dialogues is that you are pulled on tangents. You don’t get to hold court like in a solo review. It’s intentionally meant to be something else. When they work well your mind is expanded by the person you are emailing with. If it’s a discovery for you then likely it would be for a reader. But it’s hard to do. We try and we fail. Not all of our dialogues are gems. 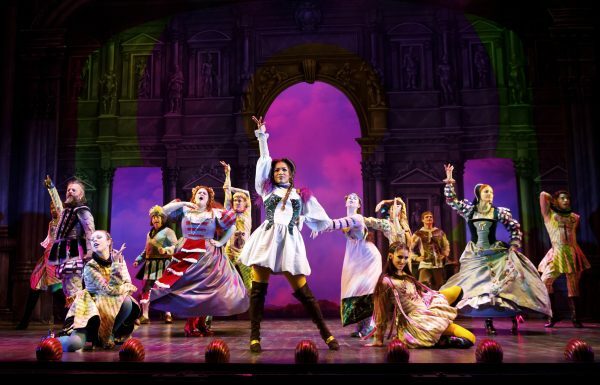 I thought our Head Over Heels one was just ok although we had very different opinions on it but an Australian blogger used our dialogue a lot in a discussion of jukebox musicals and found it really helpful. But even when we fail, that’s not to say the practice is without merit. Just because Ben Brantley and Jesse Green aren’t great at experimenting doesn’t mean experimentation is inherently bad. Two like-minded, authoritative voices out quipping each other is not a dialogue. Maybe the New York Times could learn a little from its scrappy neighbor (us) and invite different kinds of voices to the dialogue table. ALISON: Absolutely! A good dialogue has the potential to be like a combination of a well-curated panel and the print version of the best post-show discussions you can have with well-informed, diverse friends. There are certain people I find it especially satisfying to attend shows with, precisely because I know that they have a different expertise, perspective, or life-experience, which will complicate and expand my own experience of the piece. Sometimes my appreciation is enhanced by theirs, sometimes I wonder if we saw the same show, sometimes we agree fervently but can examine our response in a more complex way, often I learn something, often my assumptions are challenged. LOREN NOVECK: I also find the dialogue/round-table form useful for shows where I myself have really conflicted emotions. A “on the one hand/on the other hand” ping-pong between myself and myself just feels like I haven’t developed a line of thought, when in fact it more often signifies that I found something complex and multilayered and hard to wrangle. But I think it’s really productive and useful to look at the many aspects and facets of a piece in conjunction with someone else–giving a literal form to the multiplicity of opinions that art should generate. I’m all for formal experimentation but I think it doesn’t work when the shift is purely formal: two people sharing the same opinions each would have had individually, but bolstering each other’s confidence in them. Dialogue should inspire doubt; if I don’t come out of a conversation knowing or thinking or understanding things I didn’t know when I went in, then we haven’t accomplished anything. NICOLE: Oooo doubt. Not something that feels like it’s allowed to exist at the New York Times. Is that the problem? While Green and Brantley are not only reviewing Broadway, I’m trying to think of the last Broadway show I saw that I might even describe as ambiguous—probably Straight White Men. But it feels rarer there. One of the challenges I see, as an editor, is predicting when it’s a show that will generate such different opinions. Maybe this is why Exeunt sometimes generates dialogues after the initial reviews, as folx are mulling, arguing, and debating—hence a dialogue on the Hamilton phenomenon and a group discussion of shows about teen girls. Even the Times did a great round table about Women in Theater which talked through some differing opinions over Waitress after the initial reviews. Maybe dialogues work best as contextual and thematic rather than guessing beforehand whether sparks will fly over one show. CAMERON: The idea of leading with doubt in critical writing is so interesting to me, because I feel like as critics, we’re pushed to present our opinions as infallible. Of course, they’re not — just as there is no such thing as objective or completely disinterested criticism. But even if a writer expresses a feeling of doubt in their writing, their editor will likely encourage them to lead with what they feel strongly about or grasp the most, and given dwindling word counts, most critics don’t always have the luxury to fully hash out their ideas. Exeunt NYC is fairly privileged in that sense because we’re not beholden to a strict set of column inches. Most of our traditional reviews are in the 700-1000-word range, which is usually plenty of space to say something thoughtful and interesting. I’ve written for places where a 400-word review would be considered lengthy. I agree with what has been said earlier — that dialogues should ideally strive to put people in conversation who don’t necessarily come from similar backgrounds and thus bring different experiences to the table. (Although I was perturbed by Jason Robert Brown’s tweet, which seemed latently homophobic in its description of Brantley and Green as snarky [read: gay] middle-aged men, he has a point at least that they’re of the same age range, demographic and professional rank). But I think what is even more important is that a dialogue contain a plurality of opinions, so that it’s not just two people constantly confirming what they feel. Both the positive and negative dialogues from the Times do that. The disadvantage is that you can’t predict how a critic is going to feel about a work before they actually see it, but when you’re writing for a daily paper, you have to roll the dice. Many of our dialogues have centered on a theme rather than an individual show, and have not been written on a fixed deadline. Maybe that’s the ideal way to do it — as a supplement rather than the review of record? LOREN: That makes sense to me! And certainly I’m not saying that criticism in general should privilege uncertainty over strong opinions. But I think there are works of art where confusion or multiple opinions or internal conflict is a more nuanced, and more interesting, response. That seems to me to be the spot where dialogue, doubt, and evolving understanding can be really useful. ALISON: Yes, and this dialogue (multilogue?) about dialoging has had me thinking about the vulnerability I feel in putting my ideas out there and positioning myself in a certain way publicly. The dialogue format formally invites an open questioning or alternative perspective of that position, which I enjoy; it’s actually reassuring to acknowledge within the form itself that my views are not etched in stone, or without uncertainty. I suppose the problem we are coming back to here is when the dialogue reinforces the illusion of a definitive critical consensus. That monolithic view contradicts in many ways one of the best qualities of theatre-it’s ability to express uncertainty and the complexity of the human experience, as well as its ability to prompt conflicted responses from its audience. I’ve been contemplating too how theatre criticism may differ or not from other arts criticism. CAMERON: To pick up Alison’s point: critics often say that a review is meant to be the start of a conversation, not the end. But what do we actually mean when we say that? Is it a disingenuous statement? NICOLE: In classic dialogue form, through the complexities of the email threads that made this dialogue happen, no one answers your very astute question, Cameron. Frankly these unhewn edges of dialogues are what I like. NICOLE: I’m not sure I ever really write with the artists in mind, Loren. I’m cognizant of my perceptions of their intentions and I am wrestling with their work but I cannot let them be my first concern (naturally I am not going to rail against developmental work in the same way I might take down a $35 million musical). Though I’m also troubled with the part of the backlash over this review where people complained that the criticism was “mean.” Of all the subjects to be able to handle some body blows, I’d say the King Kong and its $35 million production is the biggest target. There’s no punching down there. Moreover, I’m bothered by the fact that people seem to see this dialogue as a basis to dismiss criticism all together. As if it’s all out of touch or irrelevant. Just snark and vinegar. And again that to me seems to represent a view that the world of theater criticism is as big as two people—Ben Brantley and Jesse Green. And I’m tired of that complaint when there are still a lot of folx toiling away at criticism elsewhere doing all kinds of different work. ALISON: I think too Nicole that you are pointing to a much, much bigger issue about the serious need for diversity in criticism, as well as on the stage. (Will the snake not only eat its own tail, but grow two heads…?!) And yes, diversity in form is valuable too; breaking out of the conventions of criticism ideally should also open up and complicate our perspective on both theatre and the act of critique. While on the one hand, many readers seem to view voices such as those from the Times as the only authority, many of my artist friends shake them off as failing from the get-go to comprehend or welcome emerging/experimental/diverse art. NICOLE: Alison I’m glad you brought up artist frustration because I think there is a strong undercurrent of that right now in this controversy. There is justified fury over a critical establishment that is not as diverse as the theater it is surveying. It’s why Jose Solís and I sourced a public list of underrepresented theater writers to show editors, artists, and PR folx that there are people out there eager to ply their critical craft to theater. But these are not the writers people regularly see in major publications. But there’s something else bothering me here too. The New York Times looking to experiment in critical form suggests a need to. We are an underfunded, under-supported, and struggling part of the larger journalism economy which itself is in crisis. While I do not have the resources of the New York Times, I’m guessing a lot has changed there too. I feel like most days I’m fighting to keep the lights on with the work that I’m doing. I wish I could focus on this job 100% of the time. It would be amazing if I had time to write, ponder, and get ample feedback on my writing. The editors I work with are wonderful and I have grown as a writer working with them. But I keep thinking about how slow my growth has been because I can only do this as a side hustle. I worry about how harried the editors I work with are trying to keep their departments/publications going. Most of the time, I’m in survival mode. We all are. I’m doing what I can with short reviews of big work. 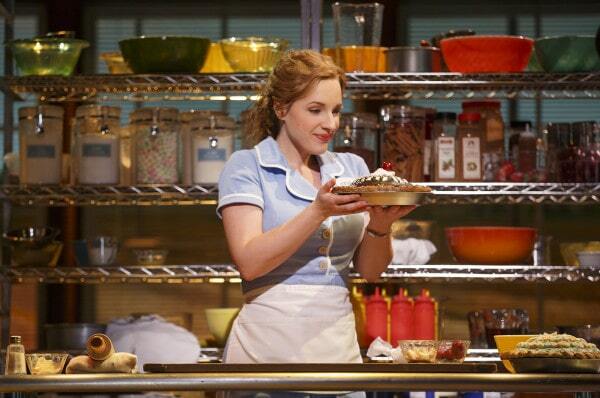 I have less chances to dig into the ambiguous work being made beyond Broadway. Without the Village Voice, now I no longer have a paid outlet where I can review Off-Off Broadway. That’s bad for all of us. I don’t get up in the mornings to do this because of the pay, the glory, or bylines. I do this because I still think it’s important. I think independent thought, analysis, and criticism of art makes us all better theater-goers. But when figures who loom large in theater dismiss criticism and reviews wholesale, it hurts us all. I wish this King Kong punch-up revealed a world of people wanting to fight for better criticism and with it more criticism. Instead, an editor of a large ticket-selling website told people to stop reading reviews all together. That helps chip away at our very existence. Talk about mean.